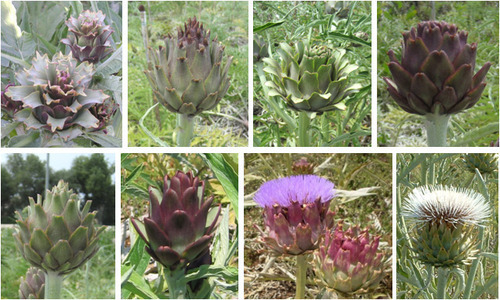 Artichokes are propagated in winter or spring from root divisions; these are sold bare-root or, more often, potted up. WHERE IT GROWS. This is a dependable perennial vegetable in Sunset climate zones 8, 9, and 14 through 24 (see the Sunset Map linked in “Resources”). Elsewhere, plant it in spring when divisions become available at the local nurseries, and hope for the best. In the desert, grow plants in filtered light, out of direct afternoon sun. PLANTING AND CARE. 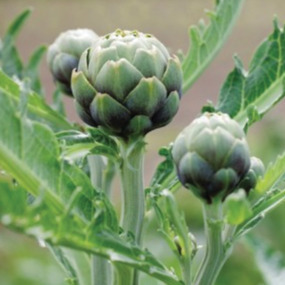 Artichokes need rich soil to thrive. Each spring, mix compost into your artichoke bed. Space the plant divisions 4 to 6 feet apart, with growth buds or shoots just above the soil surface. PESTS. Make sure to put a ring around the plant of bait for snails and slugs. You might also get aphids and caterpillars. It’s not the worst thing to happen to your plants, and I’ll address these pests in another post. MULCH. Make sure to mulch plants well to keep roots cool and moist in summer. Feed them in spring or fall; water whenever the soil surface beneath the mulch dries out. In cold-winter climates, cut plants down to the ground after harvest in fall (this is unnecessary in mild-winter climates). Replace them every five years or so. HARVESTING. Pick buds when they’re small by cutting stalks 2 to 3 inches below buds with a knife. You can eat buds whole when they’re smaller than an apricot. As buds mature and grow, there’s more to eat, but also more to discard, as scales become hard and stringy. Along the central California coast, plants can produce two crops a year. 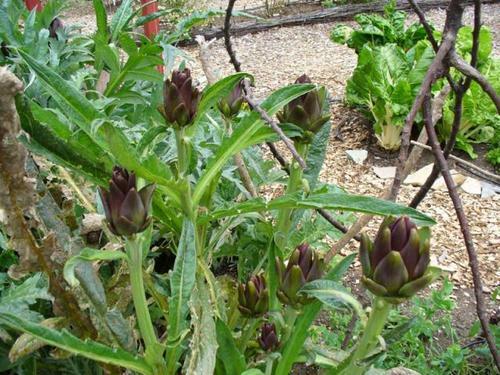 After you harvest the first buds in June, cut the plants down almost to the ground, and they will regrow, giving you a second harvest in autumn. Elsewhere, expect one crop, usually in early summer. In USDA Plant Hardiness Zones 7 and warmer, protect the plants with a thick mulch of straw to winter-over. In colder regions, dig the roots in fall, shake off the dirt, and hang them in onion bags in a cool, dry place such as a root cellar. In spring, these more-mature root systems kick in right away when replanted in the garden. BEST VARIETIES. 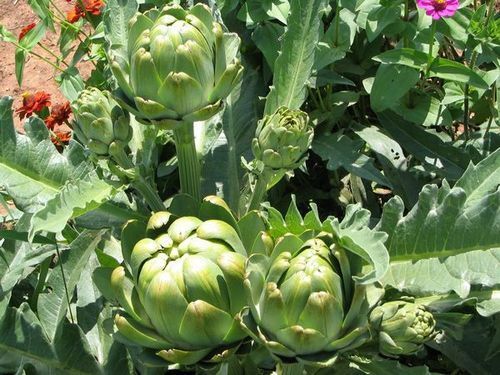 ‘Green Globe’ is the standard California artichoke, but there are also hardy varieties like ‘Imperial Star’. 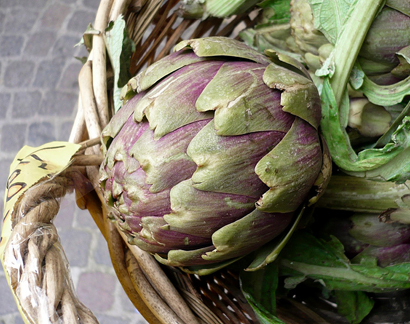 The purple, egg-size ‘Violetto’ or larger “Romanesco” are also becoming popular. I plan on adding a Violetto to my landscape this year for the beautiful, deep purple buds. Where do you imagine planting yours? what is the variety of the top row, second from left?